I wasn’t able to get much in the way of information from this young woman given the din of truck traffic passing behind us. However, she said when completed this missive will read “Plan Ahead” and it should be completed by Wednesday! 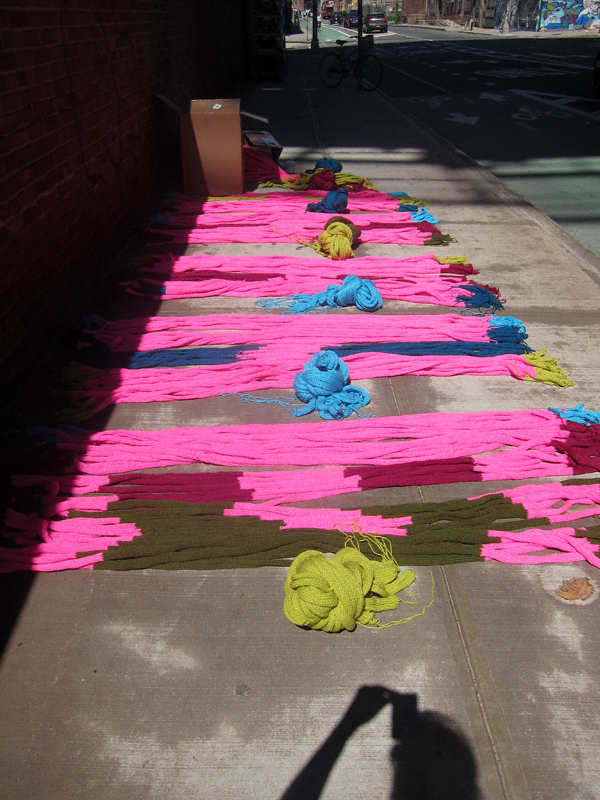 On Wednesday, August 31st, the North Brooklyn Public Art Coalition (nbART) the NYC Department of Transportation (DOT), and the Open Space Alliance present Plan Ahead, a knitted installation by internationally recognized Knit Graffiti artist Magda Sayeg. 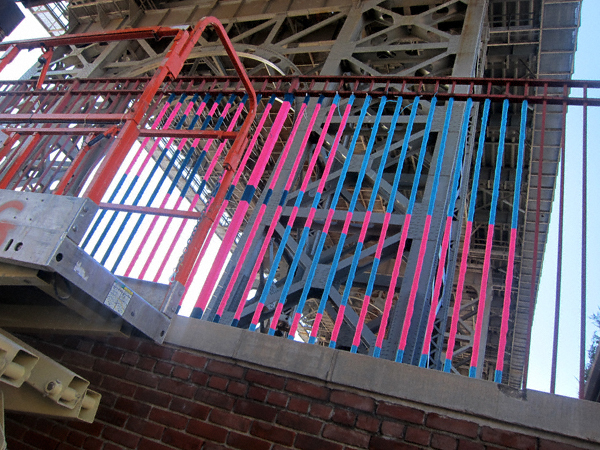 Over the next year, Plan Ahead will blanket 300 iron rods located on Kent Avenue between South 5th and 6th Streets underneath the Williamsburg Bridge in Brooklyn, NY. 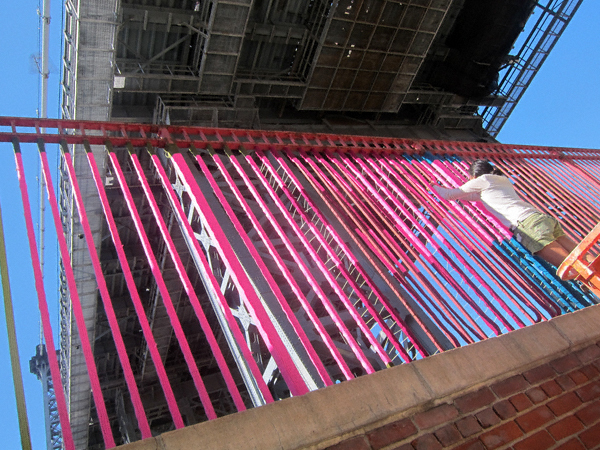 The materials produced for this project exceeded 600 sq ft and took over 200 hours to knit. On August 31st at 6:00p.m., nbART, DOT and OSA will unveil Sayeg’s artwork for media and public viewing; a reception will follow at IndieScreen – 289 Kent Avenue at South 2nd Street – and include an open bar from 7-8 and Brooklyn’s own Brooklyn Oenology and Coney Island Catering offering wine and food throughout the evening. $10 suggested donation at the door.